Lynch Stern Thompson LLP is located in downtown Chicago at the northwest corner of Adams Street and Wacker Drive. Enter on the Wacker side and find us on the 26th floor. 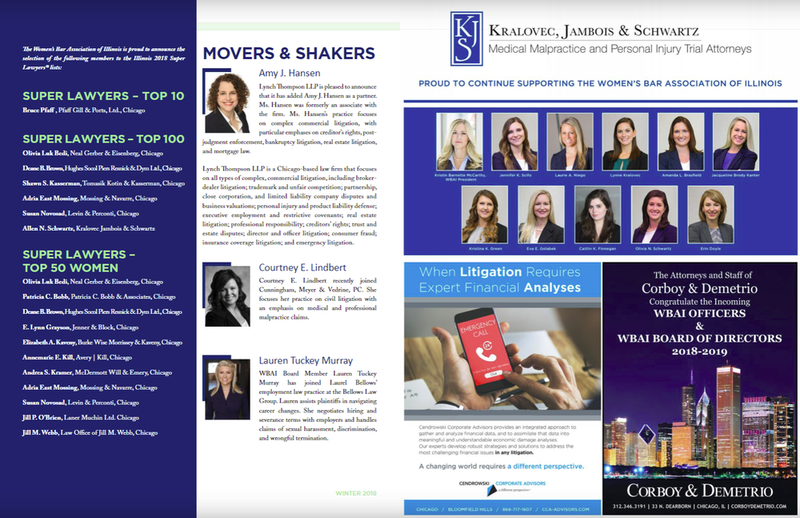 Lynch Thompson partner Amy Hansen was featured in the “Movers & Shakers” section of the Women’s Bar Association of Illinois’ Winter 2018 Newsletter.